Still got lots of photos to post from my Great Adventure trip. 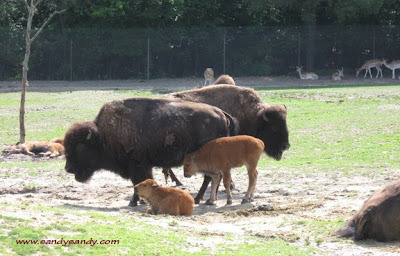 Here's a couple of Bison twins. Just two of the many babies in the wild safari park. Now who doesn't like baby animals?